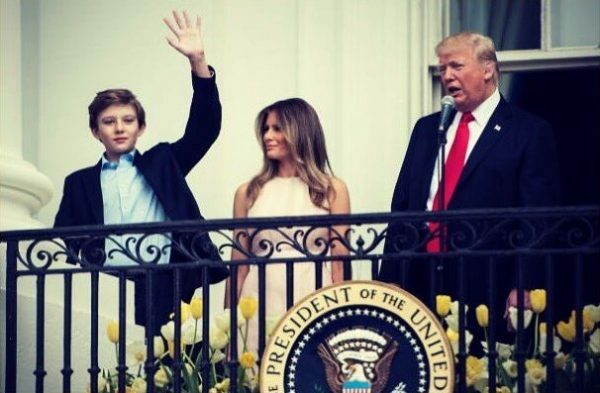 First Lady Melania Trump and Donald Trump’s 11-year-old son Barron have moved into the White House – five months after the president took office. Melania and Barron Trump had stayed behind in New York so the president’s son could finish the school year. The decision was seen as strange by some, as Melania Trump was the first presidential spouse in recent years not to relocate to the capital immediately. Her predecessor, Michelle Obama, even moved to Washington early to get her daughters settled in their new school. However, it seems Melania Trump is delighted by the move, tweeting a picture looking out across the White House lawn, marking the occasion. The move will also no doubt be welcomed by New Yorkers, who have footed a hefty security bill keeping Melania and Barron Trump safe in Trump Tower. Their presence in New York has also been known to create a fair few traffic problems. The New York Post warned of a potential “traffic apocalypse” if they did not make the move. Meanwhile, President Trump – who did not acknowledge the move on his personal Twitter account – has turned his attention to eldest daughter Ivanka’s appearance on Fox and Friends on June 12. It is not known what Ivanka Trump will be discussing.